In October 1855 a little boy arrived in Graniteville SC on a train. He was unconscious upon arrival. Concerned townspeople took him to the hotel (the old Leavelle McCampbell Middle School), where he died without regaining consciousness. Having no idea from whence he came or his name, he was buried in Graniteville Cemetery. People began leaving toys on his grave; they still do to this day. Soon after, stories began spreading of a little boy’s ghost playing with the toys left on the grave. This is his story, as we know it. 1 The train the little boy was on ran between Hamburg and Charleston SC. 2 The little boy’s casket was made and donated by a local casket maker. It was lined by scraps od silk and satin donated by townspeople. 3 Graniteville’s founder, William Gregg, set the land for the cemetery aside. He donated the plot for burial. 4 To visit the grave, you must traverse the large cemetery to the oldest part, where graves are more than 100 years old. 5 The headstone is not original. The original one was replaced years ago when restoration was done to the oldest part of the cemetery. We drove into nearby downtown Aiken SC to grab a bite for lunch and enjoyed the hospitality of Aiken Brewing Company. As a restaurant and microbrewery, they have something that everyone will enjoy. Mark had the chicken sandwich, and I dove into their famous wings, all after a healthy, shared serving of Brew City Bacon Cheese Fries. Of course, as a local, I know that the town of Graniteville has some delicious dining, too! Check out The Red Shed Diner for seasonal blueplate specials sourcing food from area farmers and a local butcher. 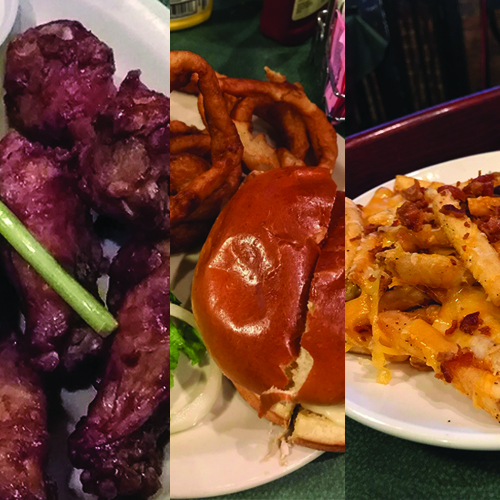 Whether you choose to eat in Graniteville or drive a few miles up into Aiken, you’re going to find delicious food and the best people around to serve it to you! I always like having someone I know with me when I travel. It probably makes good sense to do so. Things can happen and at the very least, you have some good laughs and share an experience together. Traveling can be very challenging, but imagine if you were a child and all alone? A few weeks ago while researching for this series online, I came across a story that made me pause and then made me very sad. It had been a busy day of searching through Aiken County history that I found a picture of a grave with the inscription: The Little Boy, October 1855. I thought to myself, what could this mean and why isn’t there more? Surely, he had someone who loved him and survived him. To learn the story, we must travel back in time, back to October of 1855. Think about 1855 for a moment. Although this country was very wild, it was also evolving and growing. New industries and businesses were making their marks and with them towns were developing. Thanks to William Gregg, Graniteville had become a successful textile town with mills and canals feeding the industry. As the legend goes, in October of 1855 a train stopped in Graniteville and as the passengers disembarked at the train station. A commotion could be heard inside the train. A boy had been found and he was unconscious! Somehow, someway, this little boy had stowed away inside the train. Hidden from the ticket collector, probably not eating and drinking for days on end, it is only speculation, but this could have led to his demise. And because he was unconscious, no answers could be had. The poor lost child died shortly after arriving and was buried here alone and unidentified. The same feeling that went through my soul when I learned of the story must have happened to those in Graniteville’s past. A little boy, all alone, dying in an unfamiliar place. And the thoughts continue to linger in my mind…was there a mother and father somewhere, far away who cried when they looked in his empty room? We’ll never truly know? Out of sadness and respect, people began placing toys on the grave they’ve been doing so for almost 160 years. In my research, I found stories where the ghost of a little boy can be seen by the gravesite playing with the toys. It has even been said that the spirit of a woman can be seen leaving flowers on the graves of children in the cemetery, leaving some to speculate that she may somehow be connected to the little boy. Check out our episode on the Center of the World in Hartwell GA!